Restaurants across the country are now boasting farm to table fare on their menus, sourced from local farms or, increasingly, a farm of their own. But not all can present their patrons with the farm just outside the restaurant doors. Restaurants with integrated onsite farms invite diners beyond the table to the garden beds and chicken hutches that contribute to their meal. So what’s the big deal about having a restaurant farm onsite? To answer this question, we looked to two restaurants in the San Francisco Bay Area that offer a tangible connection between the food that comes out of the kitchen and its origins in the ground. On a memorable morning, the kitchen of Nick’s Cove bustled with excitement as the first eggs from its onsite farm were brought in, still warm. The staff experienced a feeling that could never be sparked from receiving a carton of eggs from one of their local farms, no matter how delicious. Simply scrambled by executive chef, Austin Perkins, each member enjoyed a bite of the first fruits of a dream to create their restaurant’s food from start to finish. 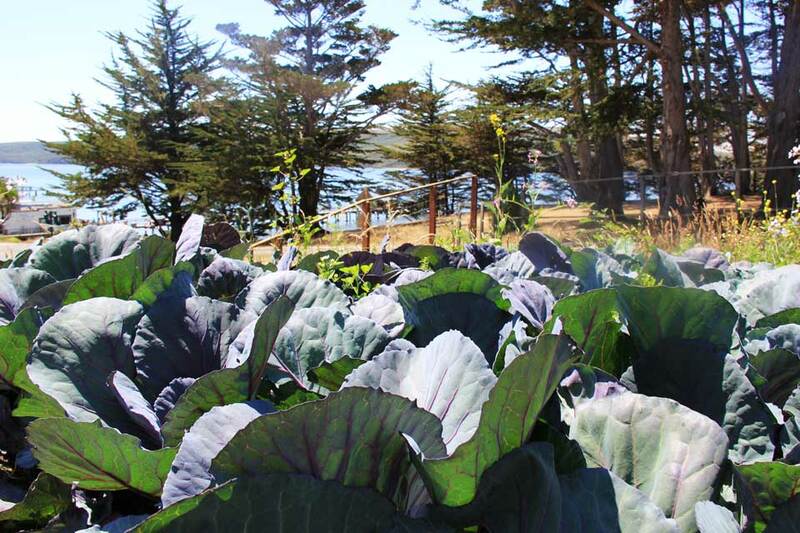 Just across the street, nestled amidst the restaurant’s adjoining cottages, lies their three-acre terraced farm overlooking the pristine waters of Tomales Bay. This small farm also serves to educate the community, and engage patrons, in how food is produced. Nick’s welcomes local schools to visit, teaching students about composting, how to grow food, and even includes a cooking demo by the chef. Over the past year the site has blossomed from a bare hillside into prolific garden beds and a chicken house, which supplies not just produce, eggs and herbs for the restaurant but also decorative floral arrangements that can be found in their guest houses. Perches for birds of prey and upcoming bat houses support animals that offer natural pest control, while resident farmer Ross Barlow has incorporated flowers that attract pollinators and other beneficial insects. Ross takes full advantage of what nature provides in lieu of external inputs. He even forages kelp that washes up on the shore adjacent to the farm for his compost. Take a walk through their garden beds and you will come across their beautiful, feather footed chickens and roosters. 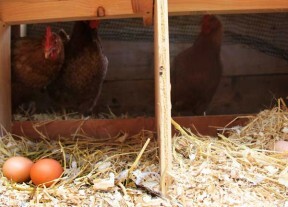 However, there are a few classic white hens that you will notice are missing their beaks. This is because Nick’s Cove has also incorporated a few rescue chickens into their coop, saved from life in a factory farm. After their first season, Nick’s Cove no longer has to purchase certain vegetables and herbs, such as kale. 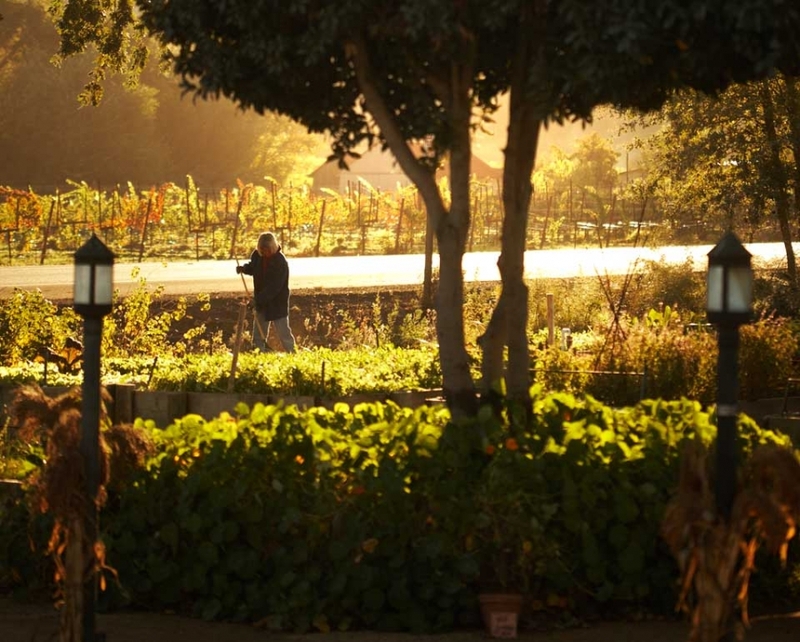 Named after the wild mustard flowers that bloom around this Napa Valley restaurant, Mustards Grill has sourced from its own onsite farm long before such a thing was popular. From just two acres of farmland outside the restaurant, Mustards Grill is able to source 20 percent of its kitchen’s needs year-round. 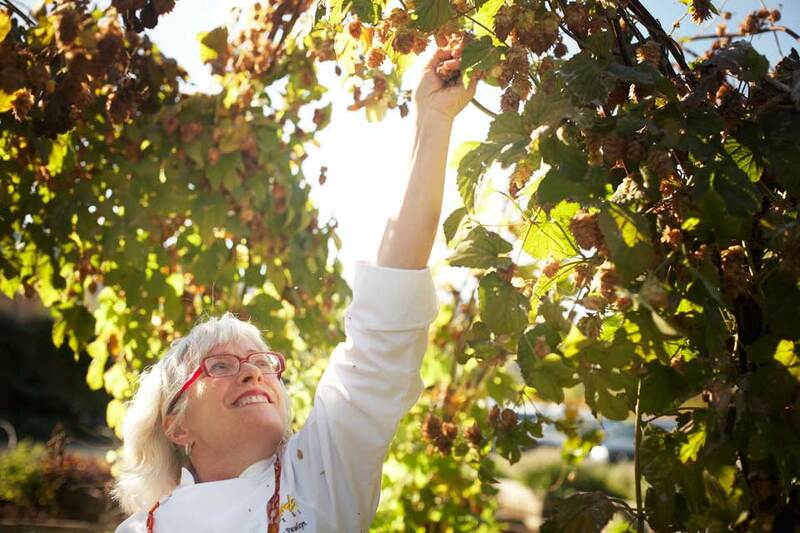 Owner and executive chef Cindy Pawlcyn has over 30 years experience working and living in Napa Valley and draws her culinary inspiration from the seasonal produce that grows abundantly in their farm. The menu at Mustards Grill is planned in tandem with the farm’s harvests, offering patrons a celebration of that season’s fare. Picked just hours before serving, diners receive the full nutritional value of the produce that would otherwise be diminished through the length and conditions of transit. Organic veggies, fruits and herbs are picked when ripe and as needed, cutting out needless waste, which every restaurant kitchen battles with. It also ensures that every ingredient is at its peak flavor. Cutting out transit time also means a reduction in fuel and electricity expenditure as it eliminates the need to not only transport produce but refrigerate it as well, both during transit and at the restaurant.